We’ve been Shearing Merino prices. Merino is Bahhhh back! Ewe will hardly believe the deals we have rammed in for the Easter weekend with a ewe-nique 3 for 2 deal on our finest Merino Clothing. Don’t miss out, it’s Baaaaaarilliant. Just select your three Merino products and the discount will be applied automatically to your basket. 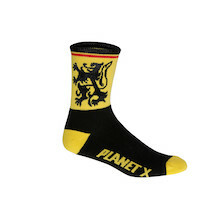 At Planet X and On-One we’ve been designing Merino products for decades. It’s a Baaaaaarilliant fabric. Its bah bah back, but what is Merino? The Merino has been prized since the Middle Ages for producing some of the finest and softest wool of any sheep. Particular strains of the Merino sheep have been bred to produce wool for clothing the finest of which is soft enough to be worn next to the skin. This type of Merino wool has become popular with performance clothing manufacturers because it is excellent at regulating body temperature and has a high warmth-to-weight ratio. Soft to the touch and itch free, Merino wicks moisture away from the skin keeping you cool in hot conditions and also warm in cold climates. It’s a wonder fabric produced by special sheep. 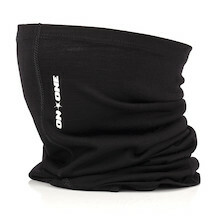 Highest performance neck gaiter going. Forget simple tubes. This is another level.